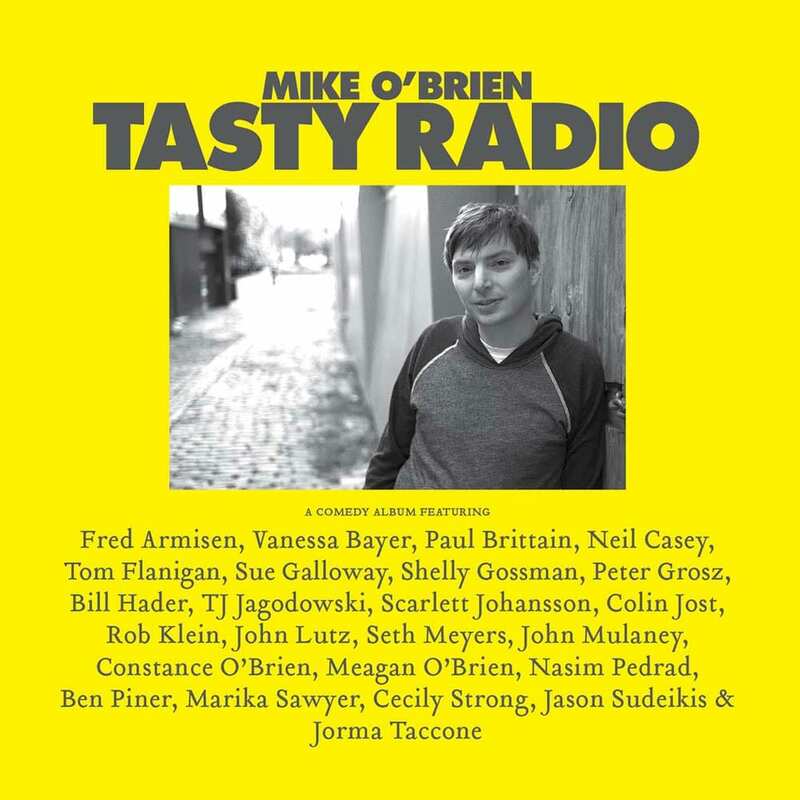 Tasty Radio is a sketch comedy album written and performed by Mike O’Brien, along with a long list of guest stars. It was recorded a few years ago at Broadway Sound in New York City. The concept behind the album is that the listener is scrolling through radio channels, each one being a sketch on the album, and sometimes returning to previous channels. The guests that help to write and perform it include, but are not limited to, Scarlett Johansson, Jason Sudeikis, Fred Armisen, Seth Meyers, Bill Hader, John Mulaney, and Mike’s mom.